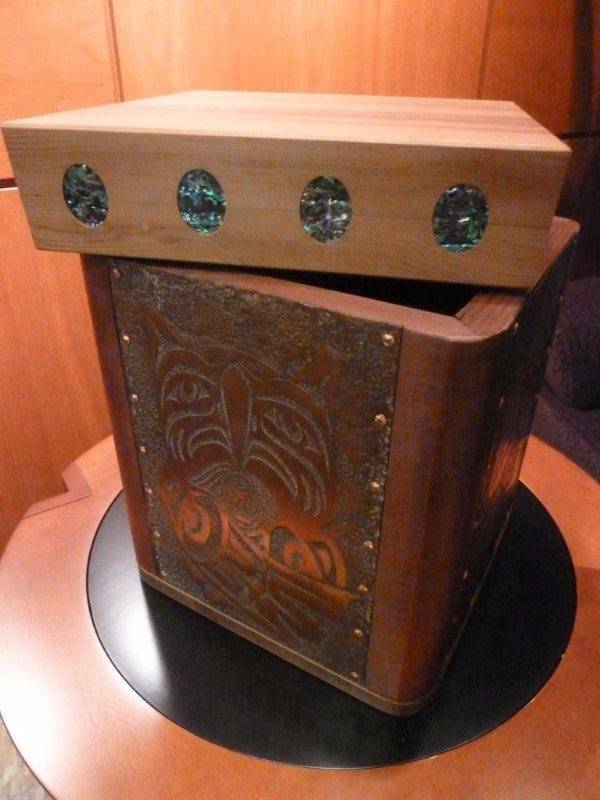 Box by Shain Jackson donated by Spirit Works to the First Nations Law Students Scholarship Fund. 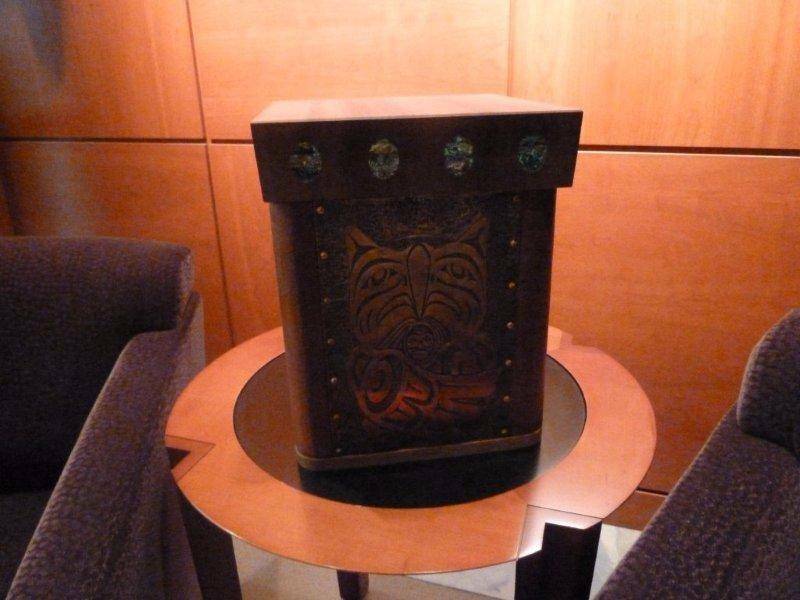 A Large painted bentwood box inlaid with abalone and adorned with copper chasing work. 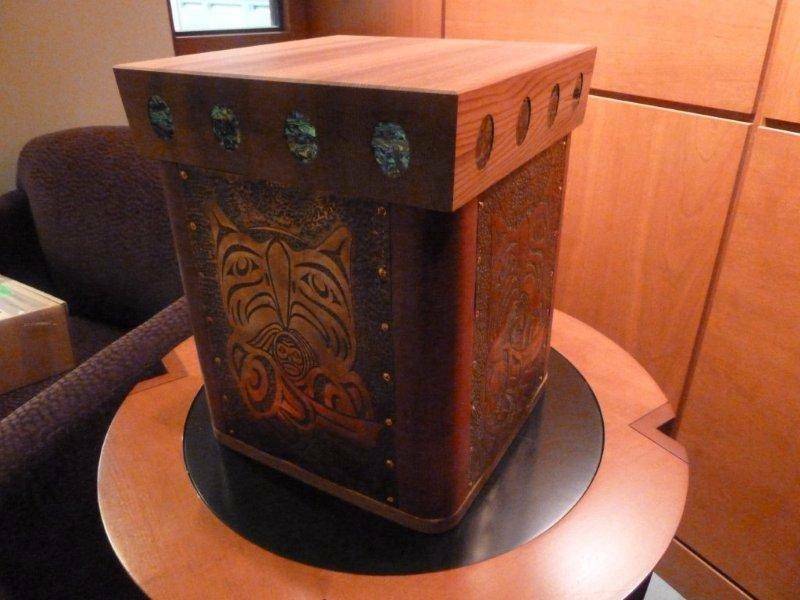 Box by Shain Jackson donated by Spirit Works to the First Nations Law Students Scholarship Fund. A Large painted bentwood box inlaid with abalone and adorned with copper chasing work. Artwork is a Thunderbird embracing person in its breast. It represents the nature people should aspire to when in possession of power and courage. Our prestige is not based on simply having these qualities but what we do with them. In this case the law firm of Janes, Kyle, Freedman used resources obtained from their practice of law to assist needy students to achieve new heights. Sold for $8,400.00. 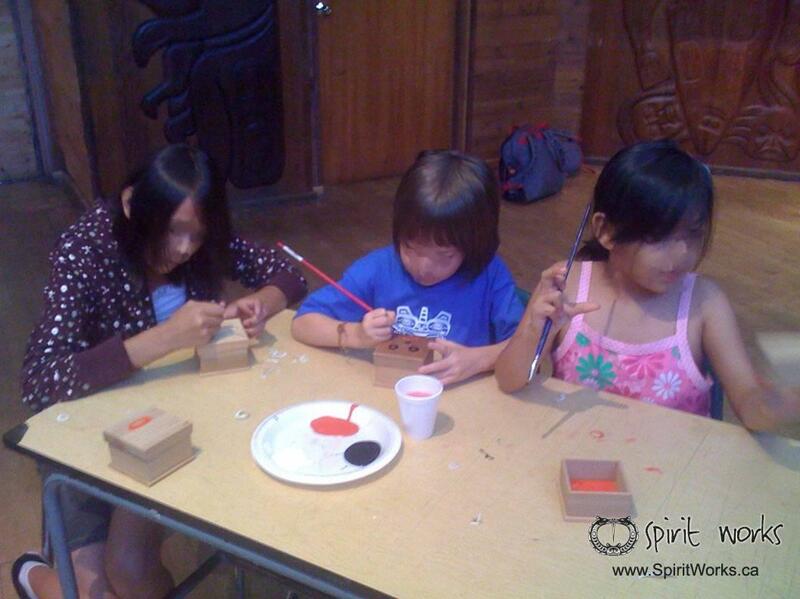 Spirit Works takes pride in the workshops we provide for our young ones. Throughout the years we’ve developed a number of workshops aimed at not only providing the participants with a great amount of enjoyment but also offering them teachings. 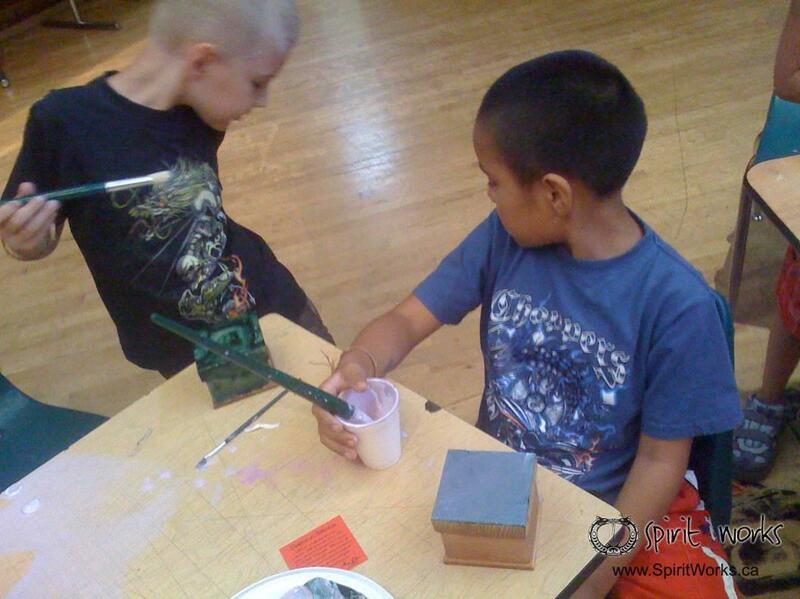 Spirit Works takes pride in the workshops we provide for our young ones. Throughout the years we’ve developed a number of workshops aimed at not only providing the participants with a great amount of enjoyment but also offering them teachings. In Aboriginal culture we learned primarily through artwork which was and is our written language. When we are taught how to make something we are also taught a range of lessons surrounding the creation of that piece. After the completion of the piece we are left with a constant reminder of those teachings. 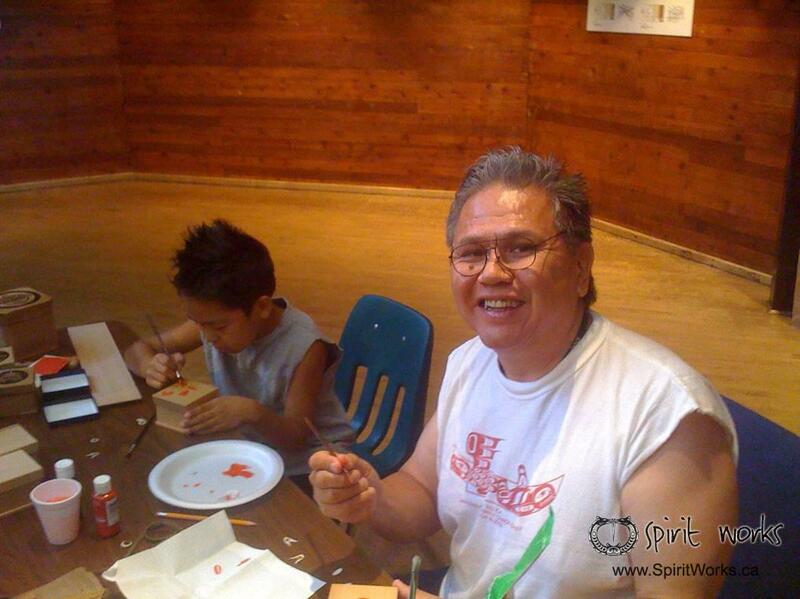 Several times a year, through organizations such as Friendship Centers, and Urban Native Youth Association, Spirit Works donates instruction and materials to youth wanting to learn about our Culture through art.